In the first lesson on alternate bass chords, we learned how changing the bass note of chords changed their sound and function in a progression. But what if we want to get a similar sound further up the neck, to replace the standard barre chord forms? This lesson will show you how to build slash chords all over the neck using movable shapes and provide you with some examples of how they can be used in chord progressions. 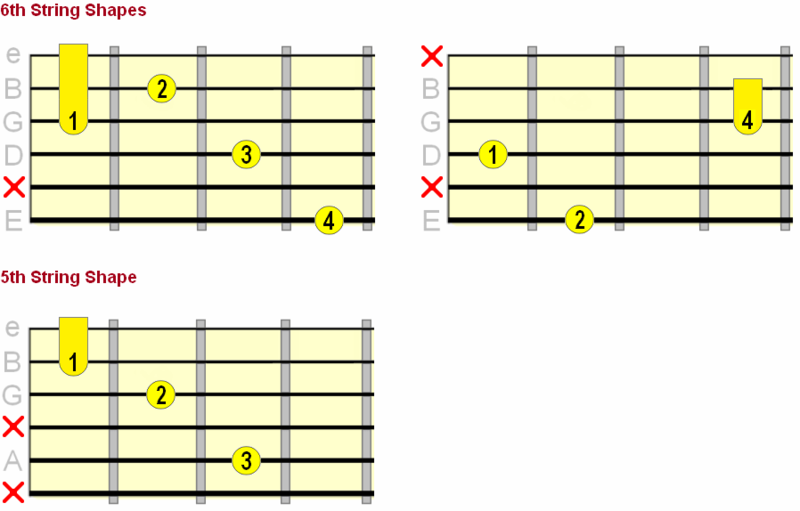 Just like barre chords, we can build slash (alternate bass) chord shapes that can be positioned at any fret. In the video, I showed you how to locate the position of these shapes. Here's a chord chart showing you the fingerings for the main major and minor shapes on one tab and the intervals on the other tab (this is primarily so you can see where the root lies in the shape). Some examples of how you could modify a standard progression to include alternate bass. The root bass is in red, the alternate bass in blue. 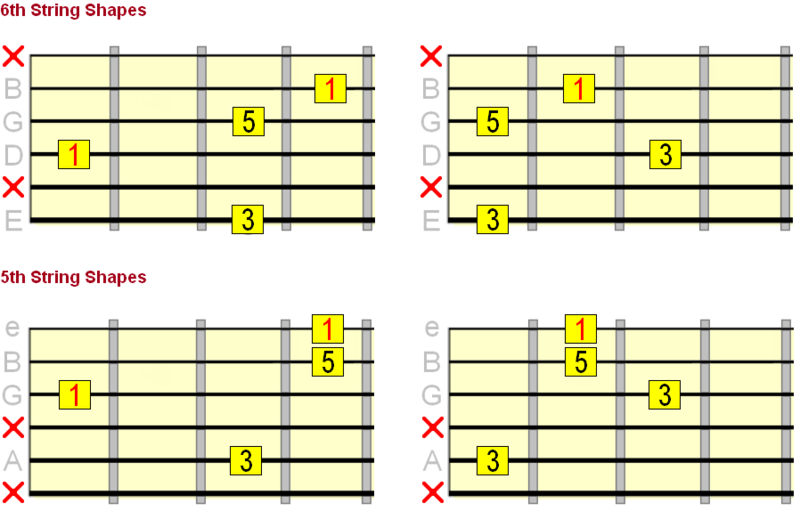 Of course, if you're playing with a bassist, they will determine where the bass goes for each chord. But as a songwriter, or if you're just playing by yourself, you can use alternate bass positions to create the mood you're trying to convey. Let your ideas flow freely and try changing each chord to hear the different possibilities. 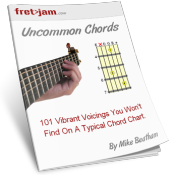 Think about how the bass line flows through the chord changes - slash chords can help you find a more melodic bass line, which is especially useful for fingerstyle playing.